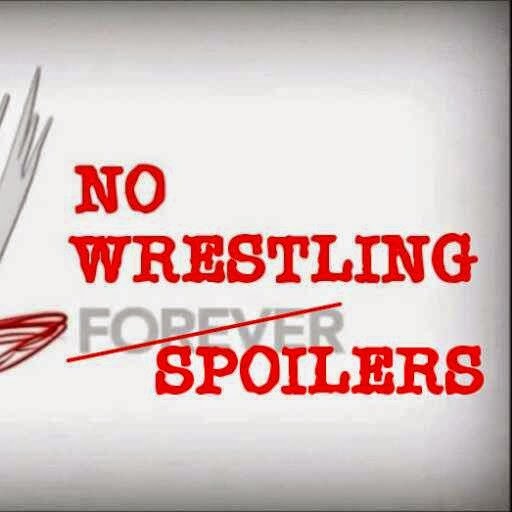 Welcome to No Wrestling Spoilers! A brand new blog on wrestling, but without the really annoying spoilers. What's the point in spoilers? They ruin our enjoyment of wrestling completely. Especially when we spend our hard earned money on PPV's and practically know what's going to happen. You wouldn't watch an entire football match if you already knew the results. So why should wrestling be any different? Thanks to the Summerslam poster leak of the Cena/Lesnar main event, we already knew who was going to win the title at MITB and then retain at Battleground. Nice one WWE/Amazon! In general; Spoilers PISS me off! So that's the general idea of this blog. To provide news, views and opinions on wrestling, without giving the game away. Follow us on Twitter; @noWWEspoilers and keep an eye out for our new facebook page. Get following and get involved!